Client: Maryland Transit Administration (MTA); Operator: WMATA. 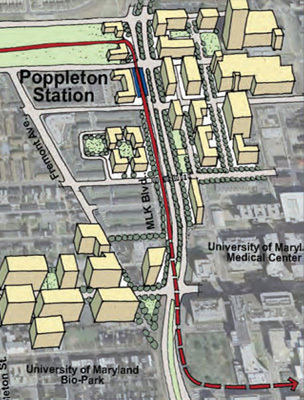 Program: Project: The proposed Red Line is a 14 mile, east-west transit corridor stretching from the federal Medicare facility to the Johns Hopkins Bayview Medical Center Campus. .
Design Approach: Communities ? and the people who live and work in them ? will be the backbone of the Red Line. 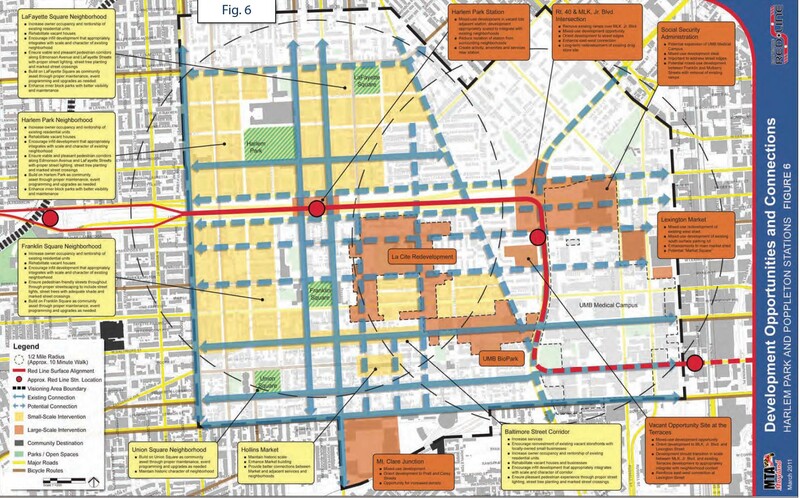 This requires that communities must be involved during planning, construction, and once the Red Line is operating. 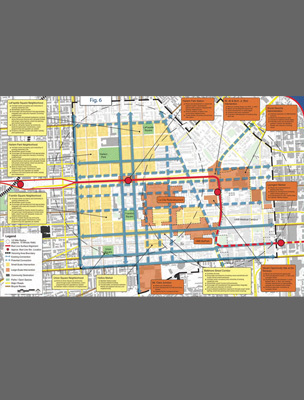 While MTA, consultants and local governments worked on a Red Line Alignment, Baltimore City developed and funded a Red Line neighborhood investment strategy to enhance the quality of life in Red Line station communities. To this end MTA, City and County created a community-centered process for outreach and involvement in station design and development planning and established Station Area Advisory Committees (SAACs) in 16 station areas including representatives from the communities, businesses, city government and MTA. Together with MTA, SAACs are developing outreach and education and vision plans focusing not only on the transit stop itself but also the surrounding area to enhance existing development and encourage future development. The SAAC planning process is scheduled for a nearly two year period. 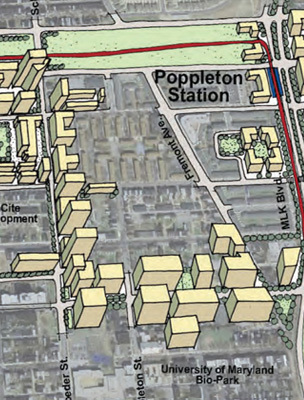 Responsibilities: ArchPlan was the Architect of Record and contributed to the FTA required Land Use Report and identified TOD opportunities. 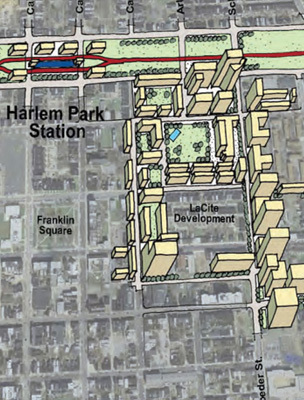 ArchPlan was part of a team that designed and prepared the inclusionary Station Area Advisory Committee (SAAC) process and has been selected as a facilitator and participant for four Station Area groups in West Baltimore and has facilitated, documented and visualized general land use planning around the stations as well as SAAC contributions to the design of the transit corridor and the stations themselves.